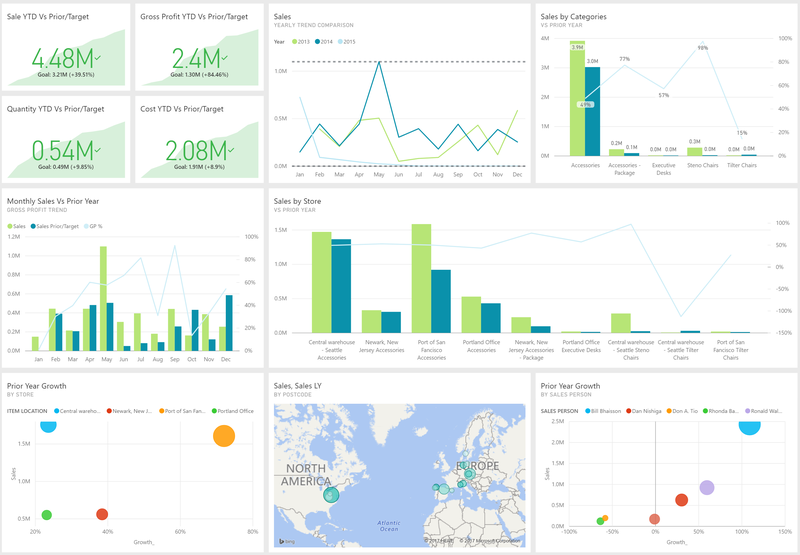 Monitor your sales performance with our custom Power BI Sales dashboard and report set. 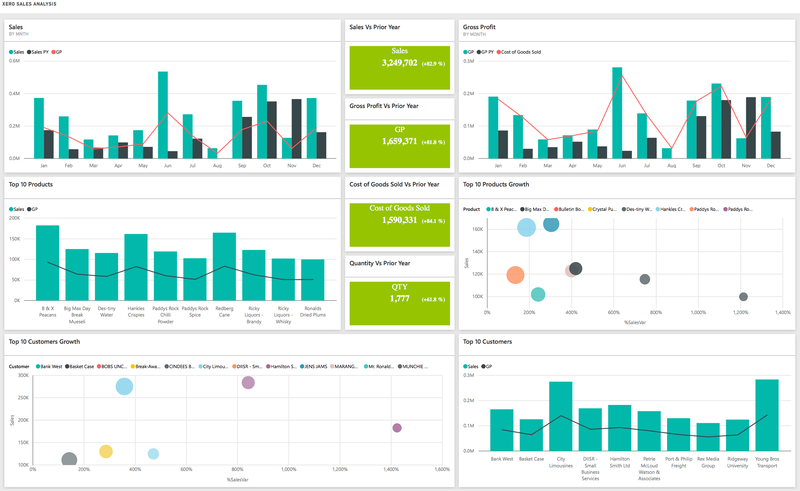 Track sales across various dimensions and see the metrics as compared to versus target or prior. 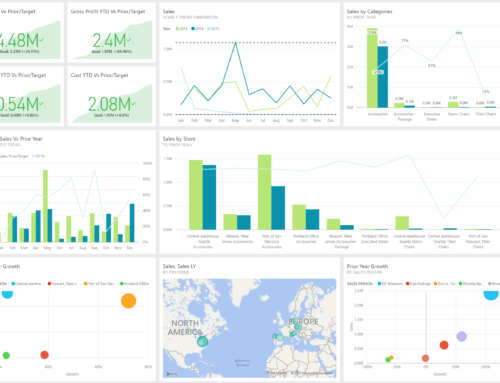 Easily spot trends in Net Profit, Gross Profit, Cost of Sales, and drill-down into your preferred reporting dimensions. 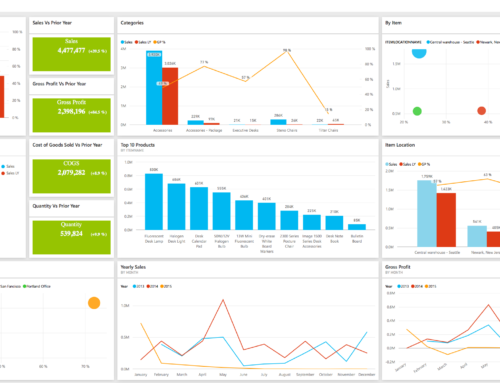 View reports based on categories, products, customers or sales people and track performance based on defined KPIs.